The Avengers the Infinity War! I really have to watch what I say here, so as to not spoil the many surprises this film holds (even for me). So let me stick with generalities, with a few specifics tossed in at the end, concerning Josh Brolin. Visually spectacular, as are all the Marvel movies. But this film hits emotional depths few of the others have even come close to, yet humor takes center stage at all the rights moments. There are a couple times my chest constricted from what I was seeing, making me want to cry. You’ll recognize those instances when you watch the film. 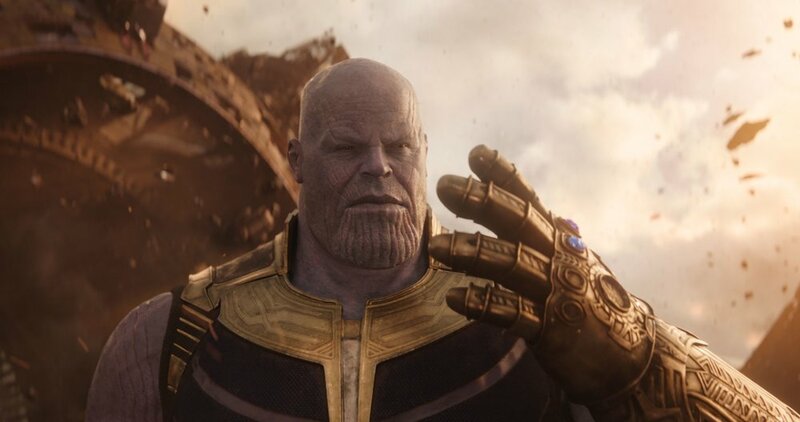 Brolin is an incredible Thanos, moving and emoting just as I tried to portray him in the comics. The movie’s two and a half running time shoots past nearly unnoticed. The thing is though, I feel I’m going to have to view the film a number of more times before I get a solid grip on just how good it is. Still at that rather stunned point. There you go. Starlin loved Brolin and I can’t argue. Avengers: Infinity War is out now, and if you haven’t seen it yet, I recommend that you do. You’ll want to see it multiple times. After all, even Starlin admits that he needs to see it a few more times to fully process the film.